Nature and outdoors are not usually the first words one thinks of when asked to describe the Miami, Florida area. Discover Oleta River State Park, the state’s largest urban park. Oleta River State Park sits on the banks of Biscayne Bay. 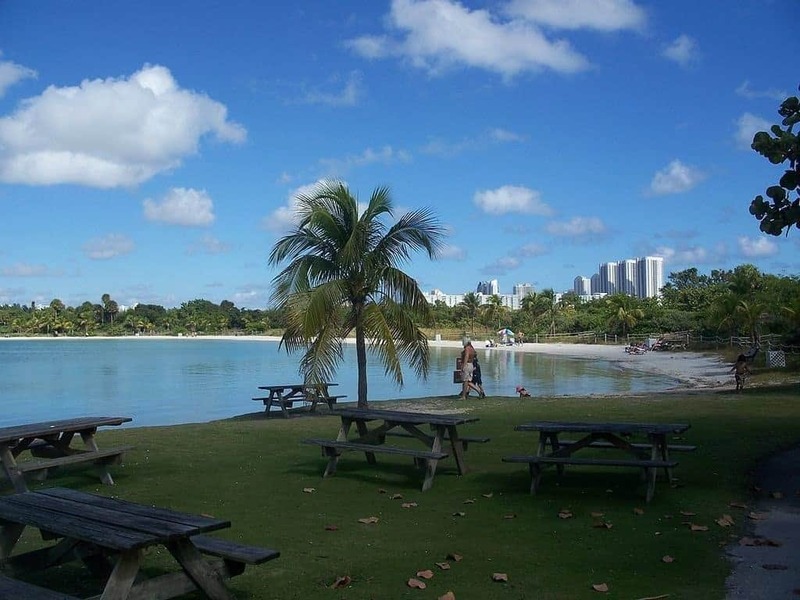 Besides being picturesque, Oleta River State Park offers an abundance of recreational activities. A beach that extends 1,200 feet invites swimmers and fishermen alike. One of the most amazing ways to see the park is from a canoe or kayak. It is not uncommon to spot bottlenose dolphins, manatees, or stingrays. Visitors may bring their own canoe or kayak or visit the Blue Moon Outdoor Center to obtain a rental. Rentals are affordable with rates beginning at $18 for an hour and half or rent for an entire day for $50 – $80. All rentals come with instructions and maps. Perhaps the most popular activity at Oleta River State Park is its bike trails. With over 17 miles of bicycle trails, novice and expert bikers alike can find a great trail. Bicycles can be rented at the Blue Moon Outdoor Center. Oleta River State Park is safety conscious. They offer loaner helmets for riders who may have forgotten to bring their helmet. A variety of hiking and nature trails are available. Day users are welcome to use one of the public showers provided. With so much to do, most visitors opt to spend one or more nights at Oleta River State Park. To truly enjoy Oleta, consider renting one of the 14 cabins available. Most cabins have two double beds and bunk beds. Each cabin is air conditioned. None of the cabins have either kitchens or bathrooms, but clean restrooms with hot showers are located nearby. To truly enjoy the nature experience, neither telephones nor televisions are permitted in the cabins. Nightly rental is only $55. Admission to Oleta is extremely reasonable. Cars containing 2-8 people are only $6 per day. Come alone, and the admission price is only $4. Pedestrians and bicyclists can enter for just $2 each. The park is open daily from 8:00 a.m. until sundown.